See for yourself. Sliding sports aren't as easy as they look. A Winter Olympics’ sport since the first games in 1924, today’s bobsleds are feats of advanced engineering. The first bobsled was created more than 110 years ago as a means of going downhill as quickly as possible by placing long runners on a toboggan. While the first sleds were made from wood, they were soon replaced by faster steel sleds. Today’s sleds utilize lightweight aluminum frames and carbon fiber bodies. 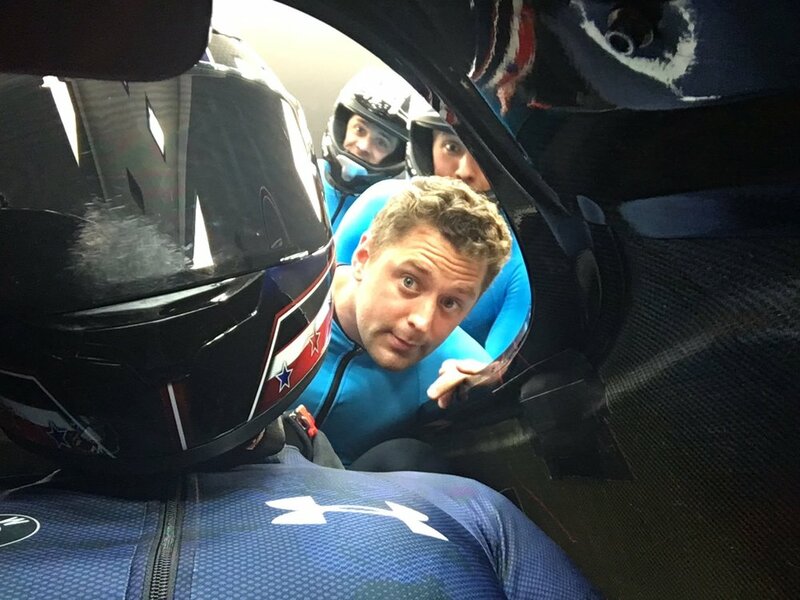 Exciting and dangerous, bobsled teams typically reach speeds of more than 90+ MPH through twisting tracks of frozen ice. Pull too hard on the steering ropes and the sled will skid. Steer too little and the sled is at the mercy of the track. Get everything just right and you’ll cover the course in about 60 seconds — pulling up to 5Gs along the way! Girl Power! A historic rule change now makes the four-man discipline gender neutral, allowing women to compete in World Cup four-man races for the first time. This marks a critical step towards establishing a four-woman bobsled discipline in the Olympics. Having already earned five medals in the two-woman discipline after the last three Olympics, the women of Team USA are uniquely positioned to lead the way. Meanwhile, women’s monobob (a sled powered and piloted by an individual female athlete) is now officially on the 2022 Beijing Winter Olympics program. This blows open our ability to compete head-to-head, immediately making us medal favorites going into Beijing. Widely considered to be the world’s first sliding sport, the first recognized skeleton event took place in 1884. Picture a low-to-the-ground, high-tech fiberglass and steel chassis with two highly polished steel runners mounted in a way that they can be ‘bowed’ for steering control. 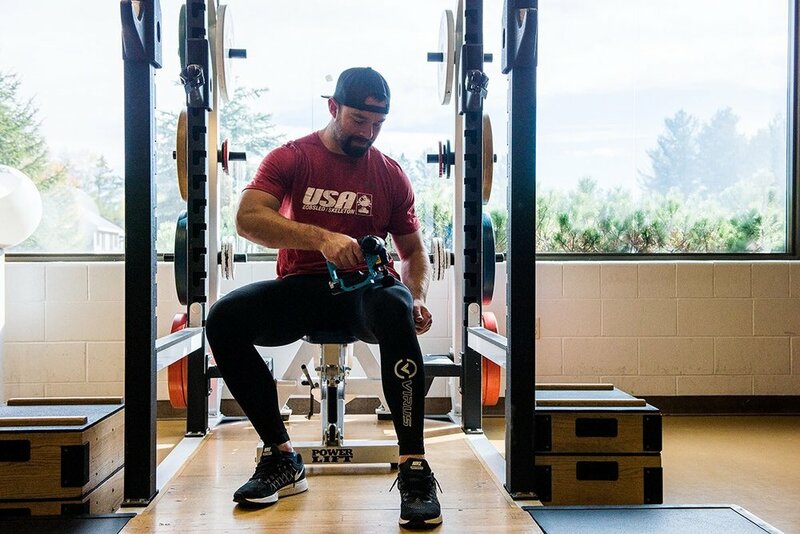 Once on the sled, the athlete makes very slight shoulder and leg movements to keep the sled on course at speeds of more than 86 MPH. Ironically, the time it takes for the rider to travel the first 214 feet is the most critical part of the run. A 1/10 of a second lead at the start swells to a 3/10 of a second advantage by the time the skeleton reaches the finish line. 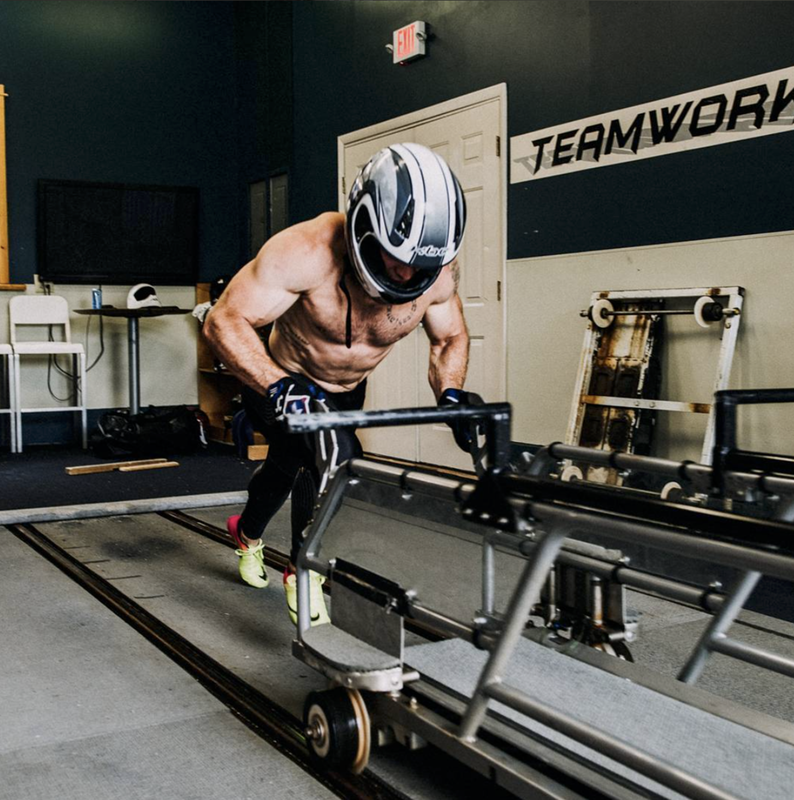 Unlike bobsleds, skeleton sleds have no braking system. Decelerating the sled to a stop is the responsibility of the athlete. Athletes endure years of blood, sweat & tears. Proper muscle recovery is critical. Female bobsledders follow the same training regimen. Taking a cryogenic cold soak. Skeleton athletes are leaner, and must reconcile flexibility with speed and power. A positive, can-do attitude doesn't hurt either. Proper nutrition is key (and costly) to maintain. 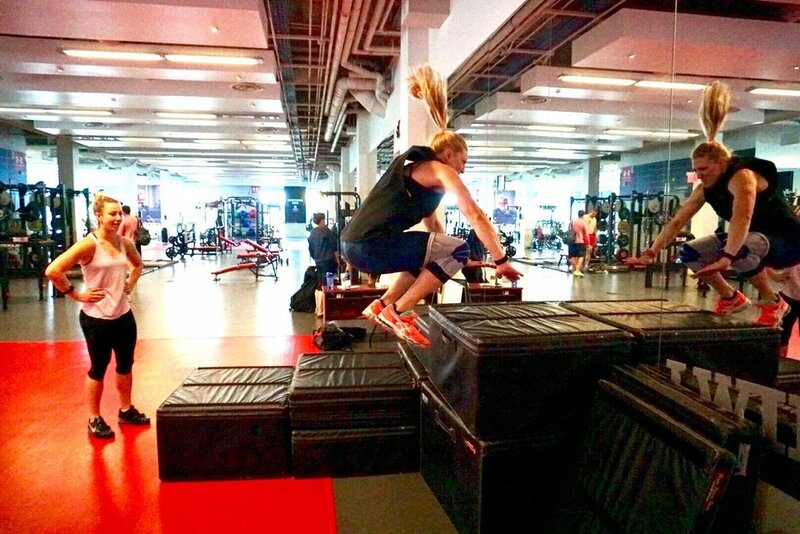 Plyometrics are also a key component of training. Mental focus is an under-appreciated aspect of strength training. Offseason push training on dry land helps athletes practice sled loading. 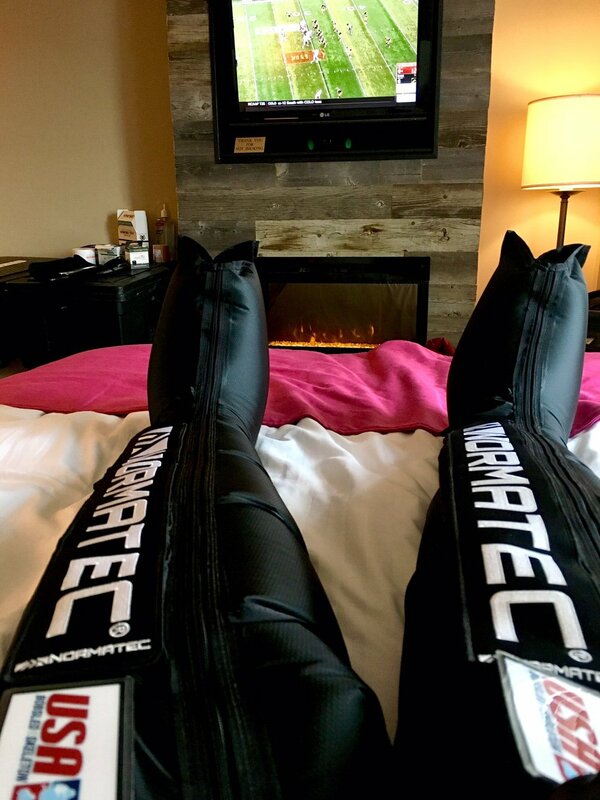 Compressed air pants help massage limbs, mobilize fluid, speed recovery after tough workouts. 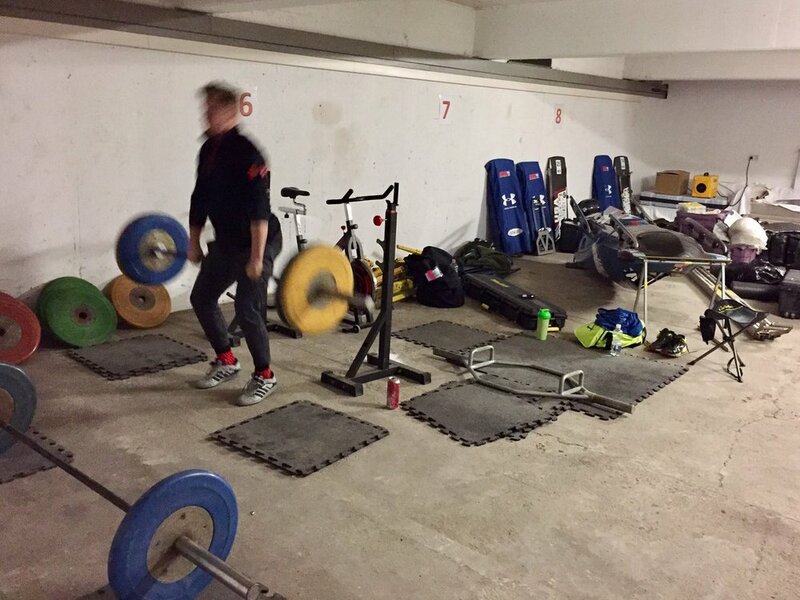 Hotel garages frequently double as weight rooms for traveling athletes. Countless hours are spent practicing proper head positioning in the sled to minimize wind resistance. Wind tunnel testing aids sled design. Athletes routinely push themselves to greater max loads, for greater gains in strength training. Many of our athletes are natural born sprinters with college track backgrounds. It's challenging to remain limber while gaining mass (required to fold yourself into tight sled positions at lightning speed). Grueling training forges close bonds. Core strength is essential to protect the spine from average 5 g of force, alternating left and right over 15 curves along a mile-long sliding track. The unexpected snags of winter road travel, hauling heavy sports equipment, are challenges that no athlete ever trains for. And this, in brief, gives you a taste of just how hard our athletes work. For the one-minute ride of their lives.